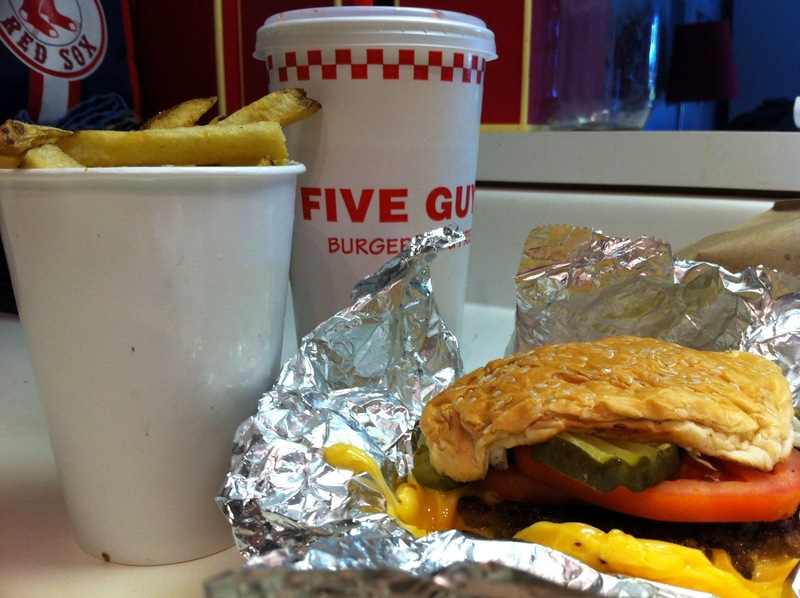 What is Five Guys Burger? A U.S. burger chain first opened in the mid 80’s. 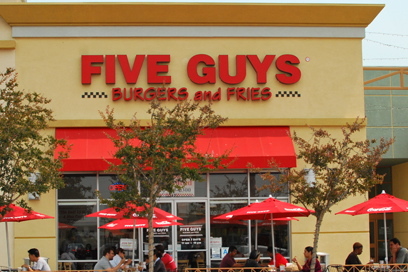 Who are the Five Guys? They are five brothers from the Washington D.C. area. 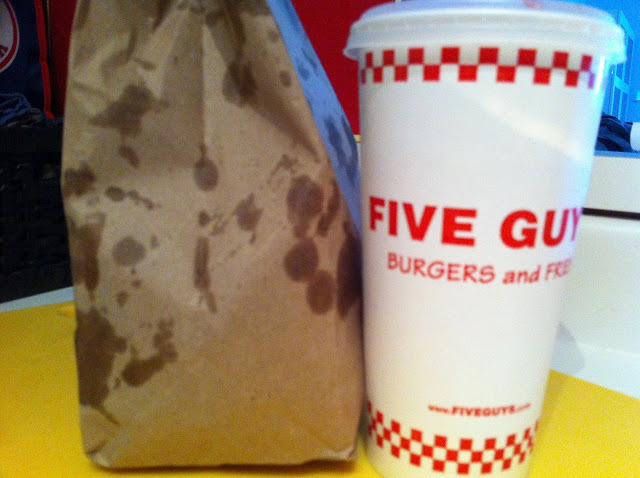 Where is Five Guys Burger? It’s in 46 states and in 6 Canadian provinces, including the Ottawa location at Train Yards. An Orleans Five Guys is coming soon. Hand-formed burgers, dogs, sandwiches and fresh-cut fries. For the burgers and the dogs, you can choose as many free toppings as you want. Munch on salted peanuts in the shell as your wait for your order. It’s not terrible. I had the burger and it was tasty. The price was a little disconcerting. Over $14 for a burger, some fries and a fountain drink. You do get an inordinate amount of fries but it all gets thrown together in a paper bag that gets very greasy. I don’t think I will be going back. In my opinion, you can get this kind of meal at any food truck for half the price. Try FGB and let me know what you think. If you’re travelling to the west coast of America or to Texas, go to In-N-Out burger. Sweet Baby Jesus that’s the best burger anywhere. How I miss that burger. It makes you weak in the knees. Say a prayer that one day In-N-Out will come to Canada.